There are two pages of 3 exercises. 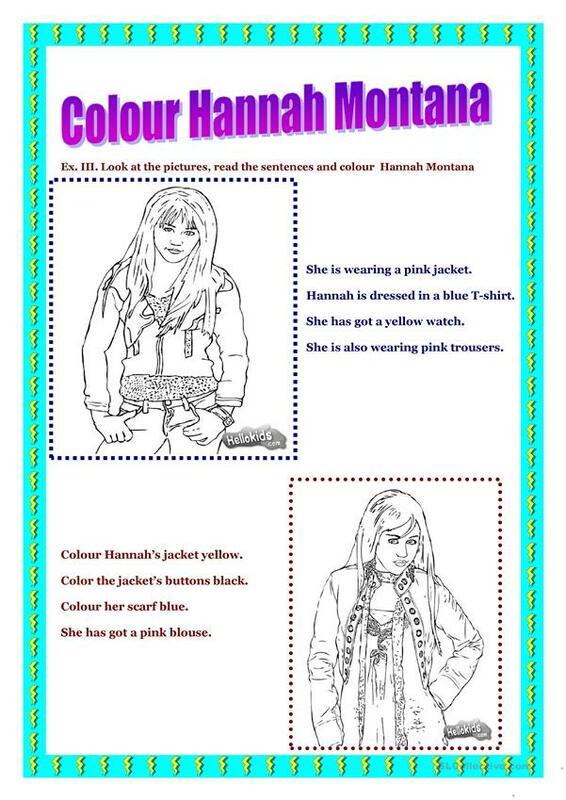 Students have to: Look at the picture and decide if the sentences are true (T) or false (F), Look at the picture and give the names of clothes or colours, Look at the pictures, read the sentences and colour Hannah Montana. The above printable, downloadable handout was created for elementary school students at Beginner (pre-A1) and Elementary (A1) level. It is a valuable material for improving your pupils' Reading skills. It centers around the vocabulary topic of Colours.